Gardeners Brent should be your first stop when you're looking for an easy yet efficient garden maintenance service. 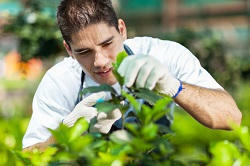 Call us now to learn more about our friendly and professional services which are provided by top gardening experts. We've had years of experience in the business, so you can trust us to take good care of your front or back garden whenever you need it, however you need it. We have built up our reputation in the HA0 area and throughout Brent purely through word of mouth and customer recommendations, so call one of our teams today to learn what we can do for you. No matter the size of your garden, it can be easy to ensure that your lawn is kept in great condition and your flower beds are tended and maintained. We offer a wide range of services, from lawn care to hedge trimming and pruning, throughout HA0. We have a friendly team of Brent gardeners who are at the top of their game. They have experience in handling gardens of all sizes and conditions. Simply let us know about your specific requirements and we'll recommend the best garden maintenance service. Can’t Find Time For Your Garden and Need Expert Gardeners Brent? If you live in the HA0 district and you've got a large, hectic family schedule, you may not have all the time you'd wish to have to dedicate to cultivating your front or back garden. Everyone loves a beautiful, well tended garden, but maintaining one is a very different situation altogether! We offer the perfect package of gardening services to help you and your family have the perfect garden for play, relaxation, BBQs and peace of mind. Our host of experts are on hand to give advice and provide lawn care and maintenance in Brent as well as other essential services. We can't all be gardening professionals so allow us to step in and save your garden from neglect. Whatever your needs, we should be able to help you with your gardening concerns. If You Have Pets, Ask Our Gardening Experts! Keeping up with your garden can be hard enough when you're busy, but what if you've got a pet that loves making a mess of the lawn? The flower beds? The water feature?! Maybe it's not even your pet, maybe it's your neighbours' cat or dog! We are helping more and more people to keep a firm grip on maintaining their beautiful gardens regardless of animal interaction! We can really cover anything to help with gardening and landscaping in Brent. In fact, we have some great landscape gardeners on hand who will be able to help create a garden that both you and your pets can enjoy and maintain! Take Measures, Call Gardeners Brent! If you think you're ready to bring in the professionals to take care of your worries and dilemmas in the garden, call us now to learn more about what our experts can do for you. From garden clearing to weed control in the HA0 area, we can help with a huge multitude of garden issues you may encounter. If you would simply like to chat and get some advice from our friendly professionals, have a look through our website. You don't have to be a gardening expert in order to have the perfect garden. You don't have to be a highly skilled garden landscaper to create the outdoor space of your dreams either. Why? Because you can simply find excellent and affordable services from Gardeners Brent at any time of the year. Simply call us today to learn more about the packages and services available throughout the HA0 district. You won't have any need to get your own hands dirty, because our team of professionals will take care of it for you! So sit back, relax and allow our gardeners Brent to transform your garden today! I would recommend Brent Gardening Company to anyone who needs help with garden maintenance. They've never disappointed. The gardeners arrived on time and delivered a fabulous service. Garden Designers Brent were amazing from start to finish. When I decided to hire a garden designer to spruce up my gardens, I asked a few friends for recommendations. Brent Grdeners was the only name I heard. That is who I hired and now recommend. They do marvellous work! Brent Grdeners come to my home on a regular basis to do lawn mowing for me, but also help out when I need support with other things like hedge management, flower planting or pretty much anything else really. Very lucky to have them around. Perfect hedge trimming delivered by Brent Gardening Company! Keep up the good work! I use Garden Designers Brent for lawn mowing and just wanted to let everyone know that they do a good job of it. I have never had a problem with them at all, and they offer a very cheap service. I love the gardening services of Brent Gardening Company. You could not wish for a better company to come and do basic gardening maintenance on your lawn, hedges and the like. Great prices too! Brent Gardening Services are brilliant gardeners. Everything was done really quickly and to a very high standard. It was all so cheap! The best gardening service locally, hands down! Brent Grdeners just knows how to handle business. Company name: Gardeners Brent . 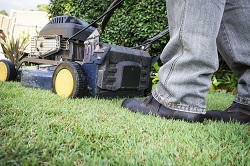 Description: Expert gardeners in Brent, HA0 offer you professional garden and landscape maintenance at competitive prices. Dial right away. © Copyright 2014 - 2015 Gardeners Brent. All Rights Reserved.